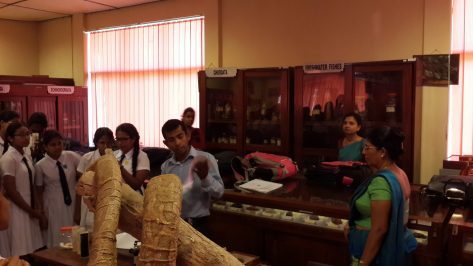 Students and staff members of grade 13 (A/L) Biology stream of Ananda Balika Vidyalaya, Colombo visited the museum of the department of Zoology on 27th February, 2018. 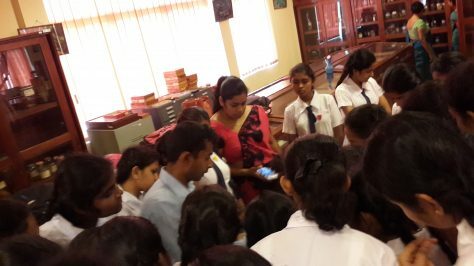 Interactive session and discussion with students and teachers were conducted by the museum curator Mr. R. Petiyagoda. 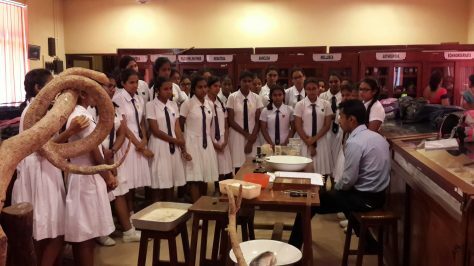 The Museum is open to University students, Schools and general public. 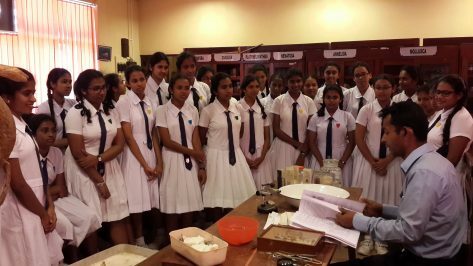 Anyone can make a reservation by contacting the head of the department (pathmalal@sjp.ac.lk) or Mr. Ravindra Pethiyagoda, Museum Curator (071 443 9367).